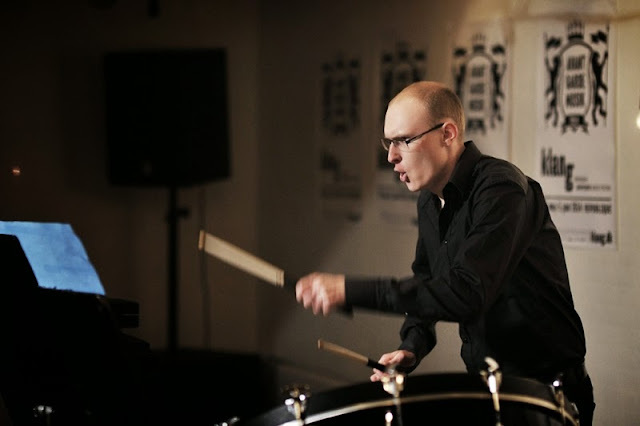 Maciej Swinoga is a student of percussion department in The Royal Danish Academy of Music in Copenhagen. Maciej has received many awards, 1st prize in International Percussion Competition in Torazza Coste in Italy, 1st place in Asteriada competition in Poland, 3rd prize in National Instrumental Competition, 1st prize in Mikolaj Stasiniewicz National Percussion Competition and grand prize in National Percussion Competition CEA. He has performed in master classes with Jacek Wota, Martin Oprsal, Linda Maxey, T.Adam Blackstock and Marta Klimasara. Maciej had a concerts in many festivals like KLANG Music Festival in Copenhagen, PULSAR Music Festival in Copenhagen and International Percussion Festival Crossdrumming in Warsaw. Maciej Swinoga had many performances in Witold Lutoslawski Concert Studio of Polish Radio, Swietokrzyska Philharmonic, concert in Norderney ( Germany ) with Warsaw Symphony Orchestra.